Many years ago I was drubbed by a mysterious illness (later self-diagnosed as Lyme disease) that brought me to my knees. At the same time critics pilloried me: my work, it appeared, severely offended them. Moreover, my love life crashed around my feet. Still, one day, after years of being under a cloud of sickness and censor, I realized I was not only rising from my ashes, but shining. From that time to this I’ve lost the need for lengthy prayers. I have only one, but it is constant. Thank You, I say, before eating, working, moving. Loving. Thank You. It is enough. These are other “life lessons” that have helped clear my path. I have written over thirty books; yet looking back I hardly remember the work it took to create them because I enjoyed writing them so much. It’s the same with everything: I can spend two hours grubbing about in my garden, dazed with pleasure and intent, and it feels like five minutes. Therefore before I embark on any new venture I ask myself: will the joy of doing this make me lose track of any concern for time? If the answer is yes, I proceed! A bad mood is temporary. So is depression. I learned this when I was much younger. I used to be depressed quite often; a chemical imbalance made intolerable by my monthly cycle. I used to want to do away with myself. Somehow I managed to keep a journal during these periods, tracking every weird turn in my emotional life. Over months – possibly years – I discerned something quite interesting: my moods and depressions had a beginning, middle, and end. Aha, I thought, I need only learn to witness them and wait them out. This I began to do until, by my thirties, they were mostly gone. When I was much younger I thought people were made happy by the things they possessed. I also wanted things. I now have lots of things, and I enjoy them. But if they were taken away I could still be quite happy, though I might miss them. I’ve learned that things are not what make happiness; but rather a calm stability of Being and serenity of spirit. The peace I experience in my own mind is my most prized possession. I used to think the most important thing about love was to receive it. Now I understand it is more important to feel and to give it. That the good feeling we associate with love is generated by us, not by a lover of us. Their love is very nice, and I welcome it, but the feeling of actually generating love within one’s self is so exquisite it almost leaves being loved by another in the dust! Not quite. My greatest joy comes from loving everything and everyone I can. And it is amazing how big this can get! Daffodils, coconuts, frogs, catamarans, Indie movies, dogs, bougainvillea, tribal art, snowstorms, old people, the Alps, chickens, my various “children” regardless of what they think of me, and so on. When in doubt, find a nice hammock. People who work hard often work too hard. I’ve learned to take time out and swing in one of the many hammocks I have wherever I live. From a hammock the world seems quite do-able, especially if one is listening to a good audio book and having lemonade. From my hammock I send out good wishes to all of human and animal and plant kind. 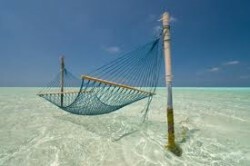 May we learn to honor the hammock, the siesta, the nap and the pause in all its forms. May peace prevail. Alice Walker won a 1983 Pulitzer Prize for her novel The Color Purple. Her most recent publications are: Overcoming Speechlessness: A Poet Encounters the Horror in Rwanda, Eastern Congo and Palestine/Israel; Hard Times Require Furious Dancing: A Year of Poems; and The World Has Changed: Conversations With Alice Walker, a book of interviews. The Chicken Chronicles: Sitting With the Angels Who Have Returned With My Memories, A Memoir, was published in Spring of 2011. This piece was written for a magazine in the Middle East.